The Ubiquity Partner Network (UPN) is made up of fully independent university and society presses. By sharing the same infrastructure and back office services, the presses are able to run cost-efficiently and sustainably. UPN also provides an opportunity to share resources and experience, and to cascade content between presses, all of which result in much greater efficiency. The presses also contribute members to the UPN Steering Board, which determines the direction of the overall platform. The first presses on the platform launched in 2014 and due to strong demand the network has been expanding ever since. Please contact us if your institution or society is interested in participating. Partner Presses have their own fully re-branded websites, presenting the books, journals and data they publish in one place (see examples). Bangladesh Journals Online (BanglaJOL) is a database of journals published in Bangladesh, covering the full range of academic disciplines. The objective of BanglaJOL is to give greater visibility to the participating journals and to the research they convey. It is managed by the Bangladesh Academy of Sciences and was developed in collaboration with INASP. Central American Journals Online (CAMJOL) is a database of journals published in El Salvador, Honduras and Nicaragua, covering the full range of academic disciplines. The objective of CAMJOL is to give greater visibility to the participating journals and to the research they convey. It is managed by CBUES in El Salvador, UNAH in Honduras and CNU in Nicaragua. It was developed in collaboration with INASP. The Finnish Literature Society (SKS) makes its English-language academic series, Studia Fennica, as well as a selection of Finnish-language research publications available in open access. The Studia Fennica series includes works from the fields of anthropology, ethnology, folklore studies, history, literature and linguistics. SKS does its part in ensuring that the results of Finnish humanities research are also effectively disseminated internationally. Established in 1831, SKS is Finland's oldest operating publisher. Today, SKS is Finland’s largest humanities scholarly publisher. Gonzaga Library Publishing, supports journals that reflect the mission of Gonzaga University through a commitment to the dignity of the human person, social justice, diversity, intercultural competence, global engagement, solidarity with the poor and vulnerable, and care for the planet. Helsinki University Press, is a scholarly Open Access publisher of peer-reviewed books and journals. All of its publications are freely available online. We offer the academic community a publication channel through which to disseminate research results effectively, fairly and to the right audience. HUP’s digital publications are free to download in pdf or HTML format, and can be bought as e-books or in print for a fee. We believe that Open Access to research is beneficial for everyone. When the outcomes of publicly funded research are freely available, they can be an asset to other researchers, academic institutions, decision-makers and civic organisations, regardless of their financial standing. This benefits not only the researchers themselves, but also the rest of society. IJS Press is an open access press run by the IJS Publishing Group. Our mission centres around the development and running of high quality, open access, international journals that are innovative and meet their communities needs. We espouse the highest standards for article selection, peer-review and production and marketing. 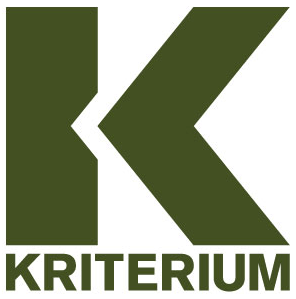 Kriterium is a collaboration providing a shared open access monographs platform and services for consortium of Swedish universities, academic publishers and institutions. Currently in a pilot phase, the consortium comprises Gothenburg University, Lund University, Uppsala University, Nordic Academic Press, Macadam publishers, and representatives from the Swedish Research Council, the Bank of Sweden Tercentenary Foundation and the National Library. KSHIP is an Open Access Publisher of peer reviewed open access books, journals and other forms of academic publishing. We are a part of Ubiquity Press’s partner network of university open access publishing. KSHIP is a lot of things - it means ‘inspired’ in Sanskrit, our institute IIT Indore is on the banks of the Kshipra river and it expands to Knowledge Sharing in Publishing. The Latin America Research Commons (LARC) is a portal for cutting-edge, fully open access research on Latin America. Funded by LASA, LARC is dedicated to ensuring the widest possible dissemination of monographs and journals in all disciplines relating to Latin American studies. Its principal languages of publication are Spanish and Portuguese, and its primary goal is to ensure that researchers from around the world will be able to find and access the research they need without economic or geographic barriers. Levy Library Press provides a platform for inter-professional scholarship that promotes open research across science and medicine. It aims to facilitate and support the foundation of Open Access peer-reviewed, academic journals at the Icahn School of Medicine at Mount Sinai. LSE Press is a platform for high quality, open access research in the social sciences. Our mission is to support the launch and development of innovative, open access, academic-led publications. Based in the Library of the London School of Economics, LSE Press is open to publishing proposals that reflect the reputation of LSE as a global and trusted source of excellent research. Modern Academic Publishing (MAP) is a publisher of humanities monographs and journals drawn from the best work at the Universities of Cologne and Munich. Medizinisch Wissenschaftliche Verlagsgesellschaft (MWV) publishes reference books, textbooks and scientific books as well as ebooks for professionals and students in Medicine, Nursing and Health Care Management. Mongolia Journals Online (MongoliaJOL) is a database of journals published in Mongolia, covering the full range of academic disciplines. The objective of MongoliaJOL is to give greater visibility to the participating journals and to the research they convey. It is managed by the Mongolian Academy of Sciences and was developed in collaboration with INASP. Nepal Journals Online (NepJOL) is a database of journals published in Nepal, covering the full range of academic disciplines. The objective of NepJOL is to give greater visibility to the participating journals and to the research they convey. It is managed by the Tribhuvan University Central Library in Kathmandu and was developed in collaboration with INASP. Penn State University Press is the publishing arm of the Pennsylvania State University and a division of the Penn State University Libraries and Scholarly Communications. As a member of the Ubiquity Partner Network, PSUP is exploring new initiatives in open access publishing. Scandinavian Military Studies (SMS) is a new partnership of the Royal Danish Defence College, the Norwegian Defence University College and The Centre for Military Studies, University of Copenhagen. Through its open access journal (Scandinavian Journal of Military Studies) and monograph series, SMS publishes high-quality work within the broad field of military studies, taking a multi-theoretical and multi-methodical approach. The journal supports the military profession by publishing manuscripts within both research and development. Sri Lankan Journals Online (SLJOL) is a database of journals published in Sri Lanka, covering the full range of academic disciplines. The objective of SLJOL is to give greater visibility to the participating journals, and to the research they convey. It is managed by the National Science Federation of Sri Lanka and was developed in collaboration with INASP. Stockholm University Press (SUP) is an open access publisher of peer-reviewed, academic journals, and books. We aim to make journals and books affordable, and to give them the widest possible dissemination so that researchers around the world can find and access the information they need without barriers. The Trysting Tree at Oregon State University is not simply a local landmark for romantic rendezvous. It’s a place where people and ideas meet. Trysting Tree Books is equally a place where ideas are shared, where compelling conversation happens, where daydreaming turns into practice.As the publishing division of OSU Libraries, Trysting Tree creates open access books across all disciplines. Our main focus is publishing and promoting work by OSU researchers, but we’re also interested in work related to OSU and its history. The Library of the UOC is responsible for publishing the scholar open access journals of the Universitat Oberta de Catalunya. They focus on art, science and technology, sociology, history and culture, law and politics and knowledge society. The open access arm of University of California Press, with four exciting initiatives for journal and book publishing. Collabra: Psychology is the mission-driven Open Access journal that shares not only the research but also the value created by the academic community. Elementa: Science of the Anthropocene is a trans-disciplinary Open Access journal that aims to accelerate scientific solutions to the challenges presented by this era of human impact. Media+Environment is a fully sponsored, open access, peer-reviewed journal of transnational and interdisciplinary ecomedia research. Luminos is University of California Press’ Open Access publishing program for monographs. With the same high standards for selection, peer review, production and marketing as our traditional program, Luminos is a transformative model, built as a partnership where costs and benefits are shared. The University of Westminster Press (UWP) is an open access publisher of high quality, peer-reviewed, academic publications. Covering disciplines ranging from the natural sciences to the creative arts, and in formats including journals, conference papers, books and monographs, we make rigorously peer-reviewed research freely and widely available on an affordable and sustainable basis. The UWP reflects the University’s commitment to both excellence and impact in research, ensuring its highest quality work is made available to benefit audiences in a global context, and to advancing the development of open access academic publishing. Uopen Journals provides a publishing platform for ambitious researchers or recently formed editorial boards (Utrecht related) that wish to publish an online open access journal. Editors managing existing journals that would like to make the switch to open access or expand in open access are suitable for our platform as well. VT Publishing is the scholarly publishing hub of Virginia Tech. Based in the University Libraries, VT Publishing is committed to increasing the visibility, reach, and impact of research produced at Virginia Tech. They publish scholarly and educational materials in multiple formats for wide dissemination and permanent preservation..
White Rose University Press (WRUP) is a new open access digital publisher of peer-reviewed academic journals and books, publishing across a wide range of academic disciplines. We are run jointly by the Universities of Leeds, Sheffield and York. 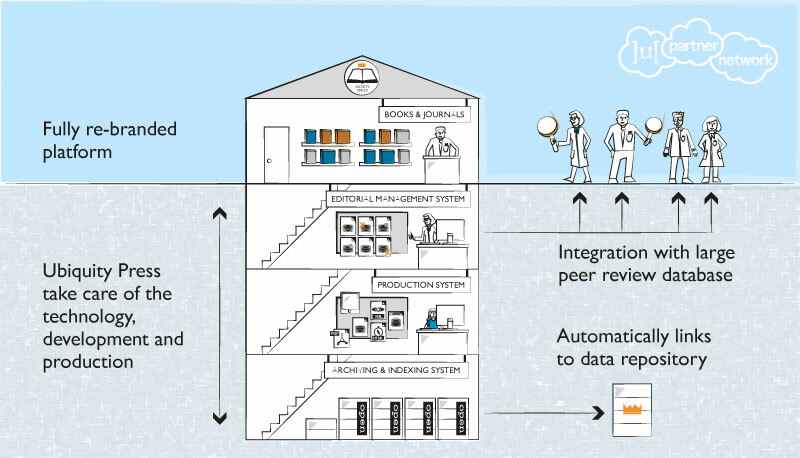 WRUP is committed to open access dissemination of research and teaching materials, ensuring academic quality, and supporting innovation in publishing. Winchester University Press (WUP) is an open access publisher of peer-reviewed academic books and journals in the Arts, Humanities, and Social Sciences. WUP is committed to enhancing the availability of high-quality research and knowledge across the globe, with no barriers to access. We believe that it is vital in the twenty-first century to democratise knowledge and ensure that people of all backgrounds and from all nations, can freely participate in intellectual debate.